If you're buying a new Fitbit, trying to choose between its long list of fitness trackers is anything but easy. And that extends to the Fitbit Inspire HR and the Fitbit Alta HR, even though the former is essentially the next generation of the latter. Though these two fitness bands may look similar on paper, they're not an exact copy in design or features. That's where we come in, to help you pick between the old and the new, and to clear up the most glaring differences between the pair. Read on for everything you need to know, including which tracker comes out on top - and be sure to check out our ultimate Fitbit buying guide, if you want to get a look at the rest of the range. Neither of these fitness trackers is the flagship - that role would be reserved for the Fitbit Charge 3 - but what they do offer are designs that are both stylish and comfortable enough to wear around the clock. And it'll undoubtedly be a big reason why you choose one or the other. So, what are the key points? Well, as the above image of the Inspire HR shows, much of the design has taken (ahem) inspiration from the flagship, with a deeper tracking module than the older Alta HR, below. It adds up to make it look like a slimmer Charge 3, and not really a follow-on from the Alta line. That means it isn't as sleek or easily disguised as the Alta (though both of these fitness tracker do come with the option to switch to a range of leather, silicon and metal interchangeable bands), but it does offer a neat little design feature the older generation doesn't - the ability to pop the module out of the band (on the Inspire HR model only) and into an clip-on accessory sold separately from Fitbit. In terms of the official specs, Fitbit hasn't yet provided official dimensions or weight of the Inspire HR, but these two do line up similarly. We'd say the Inspire HR is slightly lighter, but both give you a weightless feeling on the wrist, one that's perfect for wearing to exercise and sleep. As for the touchscreen OLED displays, these aren't color-filled, but they are bright enough to make out consistently in the high and low light. Again, there's not much difference here, besides the fact the Inspire's screen is bigger and can be navigated with the side button. One point of difference in the design, though, is the water resistance of the Inspire HR, and the lack of on the Alta HR. For swimmers, or those who aggressively wash up the dishes in the sink, this means the tracker can be submerged in water up to 50 metres and not suffer the consequences. However, on the Alta HR, that isn't the case. If you take this one into the water, it won't last, with its water resistance limited only to rain and sweat. All in all, there's little split between these two in terms of design, and that makes it largely down to personal preference. For our money, the Alta HR does provide the neater look, but the bigger screen, clip-on capabilities and water resistance of the Inspire are definitely worthy reasons to overlook the older tracker. You'll almost definitely prefer one or the other in the design department, but there's also the feature sets of each to consider. As the Inspire HR is the newer tracker, it boasts a slightly fuller sheet than the Alta HR, but remember that the core tracking experience is all backed up in the same Fitbit app. It's here where you'll be spending time reviewing workout and sleep stats, and poring over the graphs built on the rest of the data your tracker has collected. So, which can do more? Well, with the Inspire HR, you're getting activity tracking basics, sleep monitoring, notifications, automatic exercise detection, 24/7 heart rate tracking, Guided Breathing and more. And since it's waterproof, you also get swim tracking. It's a near-identical tracking experience on the Alta HR. The only real difference is the lack of swim support, and so it's easy to see why it was retired in favour of the Inspire line. If you're looking for a Fitbit tracker with contactless payment support, you're going to have to take a look at the Charge 3. And if you want to track without your phone through the power of built-in GPS, that's only available through the Fitbit Ionic smartwatch. Importantly, though, while the trackable elements are pretty much the same, the battery life is slightly better on the Alta HR. Fitbit suggests you'll get around seven days of life on the older tracker, which we've backed up in our full review, while the Inspire HR can only manage around five days. Some of these features can be turned off to improve battery performance, but who wants to do that? So, it all adds up, again, to be a fairly similar package. If your priority is charging your tracker as little as possible, the Alta HR might be your best bet. For swimmers, there's only one option to consider, the Inspire HR. Either way, though, you're getting a tracking experience that covers most of the basics. Fitbit has employed a different strategy with the Inspire line, bringing down to the price of entry from what we saw with the Alta, while also cutting some of the fat from its range. The Alta wasn't the only device to be cut, with the Zip, One and Flex wearables also sent to the wearable graveyard by the Inspire series. The Inspire HR comes with a price tag of just $99.95, making it far cheaper than the Alta HR, which typically retailed at around $129.95 before being retired after the Inspire's arrival. And though it's no longer available on Fitbit's website, you can still pick it up freely from the likes of Amazon and other third-party retailers. Like with the Alta line, there's a non-HR equivalent of the device to consider, but you do miss out on features such as, obviously, heart rate monitoring, and Fitbit Sleep Stages, Guided Breathing and more. The bonus of choosing these lines, though, is the price - the Inspire is just $69.95 and the regular Alta is also cheaper, currently coming in at $89.95 on Amazon. 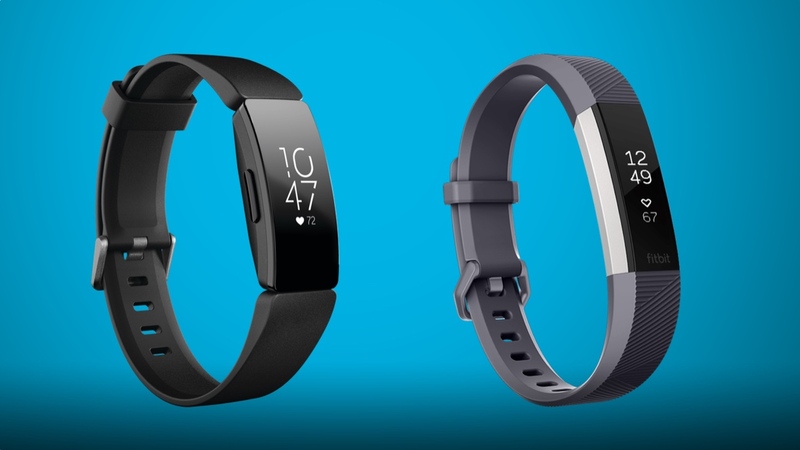 Fitbit Inspire HR v Alta HR: Which is best? With these two tracker sharing so many similarities, picking a definitive winner is tricky. The Inspire HR offers a slightly more advanced design, and some will prefer the bigger screen and easier navigation over the Alta. However, what's sacrificed here somewhat is the ability for the tracker to blend in to your everyday wear. The features and performance are identical, save for the battery life, water resistance ratings and swim support, which leaves you free to simply decide which is better for your budget, or which you prefer the look of. It's rare you can get a new-gen tracker for cheaper than its two-year-old predecessor, and don't forget about those non-HR versions if you want the simplest Fitbit tracking experience for the lowest outlay. We typically recommend upgrading to the latest tech, and it's still the case here, despite the differences being so small. The Inspire HR is a better tracker, but there's a legitimate case to choose the Alta line over it for now. Anything you want to know about how these two compare? Let us know in the comments section below.